It's the little touch that makes a party memorable. These White cutting edge, modern 2.95 Inch. Plates pack a huge punch! Imagine your guests delighted surprise when you offer them a classy plate they are sure to remember. 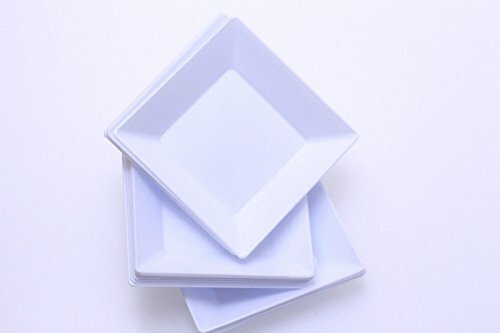 This package contains 96 clear dessert plates that are perfect for mini appetizers and desserts.